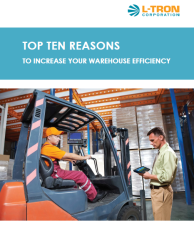 According to a study by the Georgia Institute of Technology, called “Benchmarking Warehouse Performance,” less than 30% of warehouses studied are efficient. Many warehouse operations suffered from significant inefficiencies, as forklift operators waste time and resources hunting for inventory, because they lack adequate information on the location of items and the optimal route for put-away, replenish and retrieval actions. Our end-to-end warehouse management and data collection solutions are created with your bottom line in mind. You can have complete confidence in us as we have earned premier status with our key partners. This gives us the ability to create and deliver the best possible solutions for you!